Pinellas County, Florida, is rich in romance. With 12 gulf-front beach communities, it offers couples who love sand and sea opportunities to enjoy some of Florida's prime destination spots for lovers. Share a sunset on a white beach with your special someone. While you both enjoy the warm gulf water and sand between your toes, is there a more perfect place than Pinellas County to pop the question? 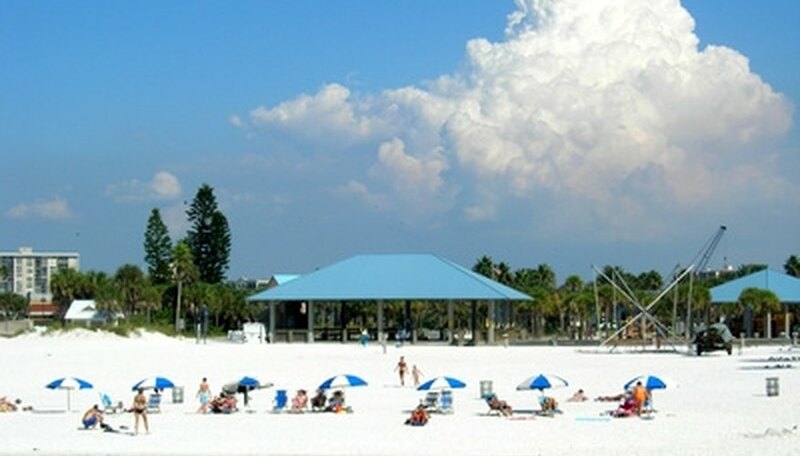 Pinellas County features some of the whitest beaches in Florida. Caladesi Island was home to North America's best beach in 2008, according to Florida State Parks online. The island is the perfect romantic spot for weddings and couples who are seeking a romantic setting in Pinellas County. Caladesi Island is accessible by private boat or by ferry. The island is one mile west of Dunedin off the Gulf Coast. 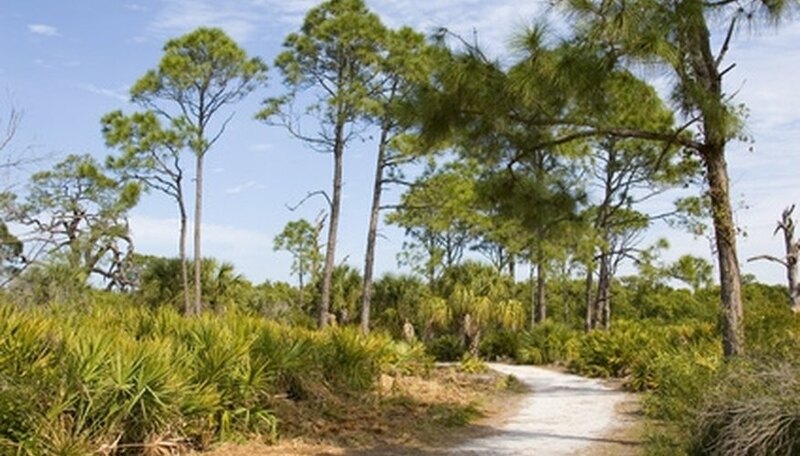 You can see osprey, gopher tortoises and mangrove trees on the island's nature trails. Beach umbrellas can be rented on the island. The island also has a concession stand that serves refreshments, with picnic tables provided. Visitors can also swim, kayak and fish. Those seeking a boating camp-out beneath the stars can arrange for an overnight stay at the marina. Honeymoon Island is the ferry's first stop before it goes on to Caladesi Island. Guests who stay on Honeymoon Island for a romantic adventure will enjoy the white beaches and the warm gulf water. Honeymoon Island is the only beach in Florida that allows pets, which must be kept on a six-foot leash. Park concessions, picnic tables, fishing activities, bird observation areas, nature trails and bathhouses adds to the romantic swimming and sunbathing on this historical beach, where pirates, Spanish explorers, fishermen and traders did business for centuries. According to AB FLA online, Americans got their first look at Honeymoon Island in newsreels and magazines in the 1940s, in ads that promised undiscovered pleasures for newlyweds. Three miles of white beach along the Gulf of Mexico is one of the most romantic beaches in Florida. Treasure Island Beach is a frequent choice for weddings. The beach has a mile-long walkway trail along the east side. Besides boating, swimming, scuba diving, beach combing and sunbathing, romantic couples can also enjoy golfing or tennis at Treasure Bay Golf and Tennis. You can charter a fishing or pleasure boat at Outer Limits Fishing Charters or T-Kat Fishing Charters. Cruises, boat tours, shopping, dining and spa treatments are also available. Starr, Cheryl. "Romantic Places to Go in Pinellas County, Florida." Dating Tips - Match.com, https://datingtips.match.com/romantic-go-pinellas-county-florida-7818504.html. Accessed 19 April 2019.